Dr. Lin has been recognized as a Top Doc by Boston Magazine 2017-2019! Dr. Lin and his staff are committed to giving you the best possible service and results. Dr. Lin is committed to continued medical education. He attends plastic surgery lectures, meetings, and conventions to stay informed of new techniques, the latest products, and the newest equipment that a modern plastic surgery practice can utilize to provide state-of-the-art cosmetic enhancement procedures. Being a member of various professional plastic surgery organizations helps Dr. Lin to stay current of the changes and recommendations of his profession. Welcome to Boston Plastic Surgery! Welcome! Thank you very much for taking the time to visit our site to learn more about the practice. Dr. Samuel Lin is Associate Professor of Surgery at Harvard Medical School and holds appointments as an attending Plastic Surgeon with Harvard Medical Faculty Physicians at Beth Israel Deaconess Medical Center (BIDMC) and the Massachusetts Eye and Ear Infirmary, in Boston, Massachusetts. He is board certified by both the American Board of Plastic Surgery and the American Board of Otolaryngology-Head and Neck Surgery. Dr. Lin graduated medical school in 1998 and has been practicing plastic surgery in the Boston area since 2007. …physician certification in the United States and has only 24 member boards – Dr. Lin is certified by 2 of those member boards of medicine, Plastic Surgery and Otolaryngology-Head and Neck Surgery. The ABMS has recognized only the American Board of Plastic Surgery as identifying board certified plastic surgeons who practice in aesthetic and reconstructive surgery. Congratulations to Dr. Lin for being recognized as a Top Doc by Boston Magazine 2017-2019! 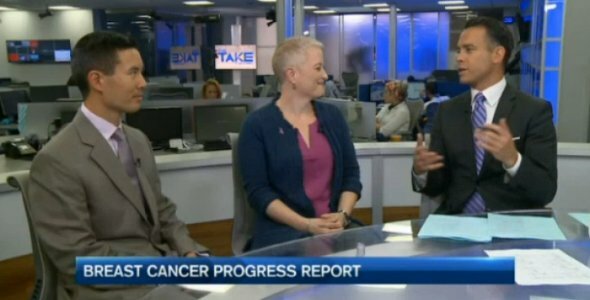 Progress report on the battle to defeat breast cancer.